Look for (1) autograph or relic card per box on average! 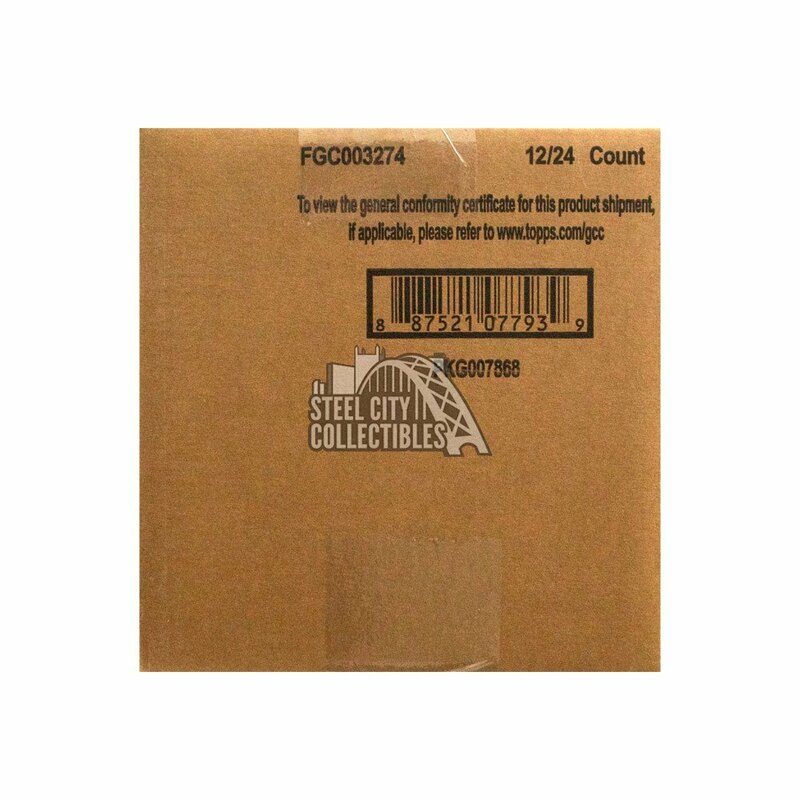 Each Hobby Box will guarantee 1 Autograph or Relic Card + 1 Box loader. Black-Bordered Parallel – 500 total subjects featuring a black border. Limited to 50. HOBBY ONLY. Flip Stock Parallel – 500 total subjects printed with a matte paper front and glossy back. Limited to 5. HOBBY ONLY. Chrome Gold Bordered Parallel – #’d to 5. HOBBY ONLY. Chrome HOT BOX Refractor Parallel HOBBY & RETAIL VALUE BOX. Real One Dual Autographs – Active and Retired players signing ON-CARD autographs in blue ink. Hand-numbered. HOBBY ONLY. Real One TRIPLE Autographs – Active and Retired players signing ON-CARD autographs in blue ink. Hand-numbered. HOBBY ONLY. Autograph Patch Parallel – Hand-numbered 1/1. HOBBY ONLY. Patch Parallel – Hand-numbered 1/1. HOBBY ONLY. 1970 Mint – Relic cards featuring retired and active stars along with a coin minted in that year. HOBBY ONLY. 1970 Topps Super Baseball – Styled after the “oversized” 1970 Topps Super Baseball Cards. HOBBY ONLY. NEW! 1970 Poster Box Loader – Styled after the 1970 Topps Posters. Limited to 70. HOBBY ONLY. NEW! 1970 Topps Originals – Original 1970 Topps cards foilstamped and inserted in a wrap. HOBBY ONLY. 2019 Topps Teammates – Styled after the rare 1970 Topps Teammates cards. Limited to 70. HOBBY ONLY. NEW!